Dylan has been a furniture maker for over 20 years, designing and handcrafting furniture from locally sourced hardwoods. He makes furniture to commission combining the beauty in English timber with traditional techniques, and his passion for steam bending, to create an organic flow in the finished piece. Dylan Pym is a maker with a passion for English hardwoods from which he creates beautifully crafted and highly original furniture. All his wood comes from the thinning and maintenance of local woods and hedgerows, most of it sourced from within a 20 mile radius of his workplace. Dylan also conducts workshops on the technique of steam bending and gives advice on tree planting. Diana Grace spoke to him in his workshop which he built himself in Polstead, Suffolk on organically farmed land surrounded by trees. I started my working life as a shepherd. While I looked after my 150 ewes I used to pick up bits of wood and mess about whittling and enjoying the feel of wood. I realised I needed some technical training so I embarked on a two-year course at Ipswich Suffolk College. I was no good at tackling exams so luckily they let me learn practical skills full time in the workshop, with lots of help from the technicians. Since then I have gone on teaching myself through trial and error, with lots of errors on the way! I have always been intrigued by the nature of trees and got to understand how they grow, where they will flourish and where they struggle and I can tell by looking at a tree in its position whether or not it will be good for a piece of furniture. You have to understand wood to be able to steam bend it. What is steam bending? It is a process of bending green wood into a curve by steaming, then clamping it quickly and drying it for a month so that the wood locks into position and hold its shape. A tree’s position in relation to light is all important because if a branch leans to one side it is inevitably under stress and when it is planked it will warp, so for steam bending it is essential to choose trees with as little movement in the timber as possible. It is a method that has been used traditionally for making chairs but I have now developed this to making larger furniture such as dressers, tables and cupboards. What makes a craftsman-made piece of furniture extra special? It is handmade. Get rid of machinery and out with the hands! I use traditional methods such as peg and dove-tailed joints as well as steam bending. My furniture will last for many generations and it is personalised. Customers can select their preferred boards which are carefully matched before the work begins. Grains or burrs vary so each piece has its own individual character. The maker’s name, the type of wood and the place of origin is carved underneath. I can even add a family name or motto if required.  You live and work in the countryside. Are you concerned about the state of woodland in East Anglia? Of course a lot of our native woodland has been lost though there are still ancient oaks to be found in Suffolk. The hardwoods here are some of the best in the world with a wealth of variation in colour and grain. People tend to deplore signs of neglect in woods but a bit of neglect is not a bad thing. Trees need water, fungi and rich humus to flourish. It is no good planting them in dry open areas expecting them to do well. I often give advice to people about creating healthy woodland. We plant over 200 trees each year here so I have plenty of experience. You use a lot of oak for your furniture, managing to steam bend it into beautiful sinuous curves. Is oak a favourite wood of yours? Oak for me symbolises England itself. Houses and boats and the Empire were all built from oak. I can’t understand why the oak isn’t represented on the royal standard rather than lions and dragons. If I see a particularly fine specimen I plant a few of its acorns in the hope that English oak trees will continue to flourish in Suffolk for generations to come. 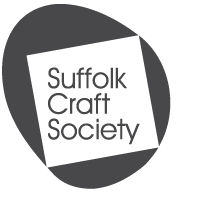 What benefit do you gain from being a member of Suffolk Craft Society? There is of course always the chance to gain a customer or two from the Society’s gallery in the Town Hall in Ipswich and from its summer exhibition at Aldeburgh, but mainly the Society gives me an opportunity to meet some other dedicated craftspeople. We can swap ideas and contacts and appreciate one another’s work. You have a showroom here in Polstead. Can anyone make an appointment to come and inspect your range of furniture? Yes, Carl, my assistant, and I welcome visitors throughout the year and I also demonstrate steam bending at a workshop event during the August bank holiday. The showroom and my catalogue give visitors an idea of the range of my furniture. No wood is wasted so there are usually smaller items for sale made from offcuts, such as chopping boards, bowls, rolling pins and so on. I am very fortunate to be able to work in such surroundings and practise the craft I am passionate about, so yes I am happy.